Very good quilt. I use it with an underquilt in my hammock. 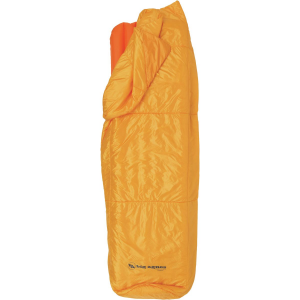 I have always purchased Cascade Designs (which Therm-a-Rest is a part of) products whenever I can because of the excellent customer service and excellent products. 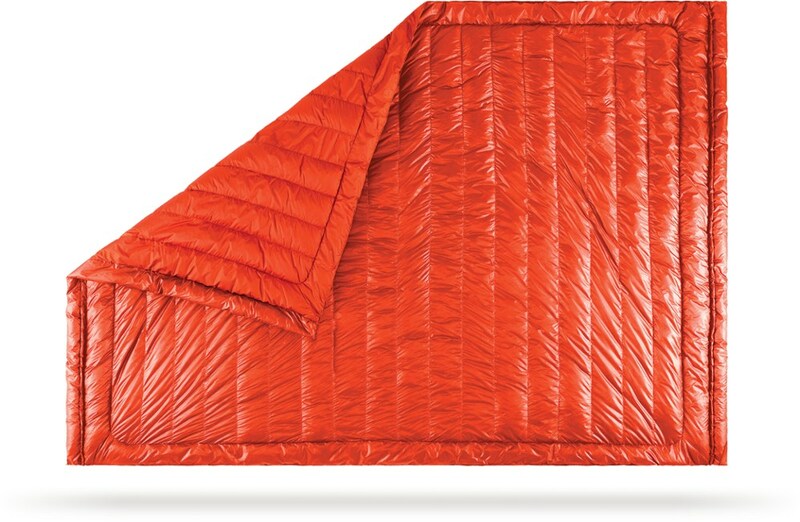 They won't be the cheapest product around, but I have an MSR WhispeLite stove, BaseCamp pad, Platypus GravityWorks water filter, and now a Vela HD quilt. When I first got the quilt I was afraid that I had made a mistake. It appeared much too light and thin to possibly be warm. However, I have slept with it (and a good underquilt) in my hammock down to 22 degrees in no wind (I was wearing a long sleeved T-shirt and jeans along with wool socks) and was fine. I did have a cheap Costco quilt that I used it with it, but I took that off in the middle of the night and realized I didn't really need it. 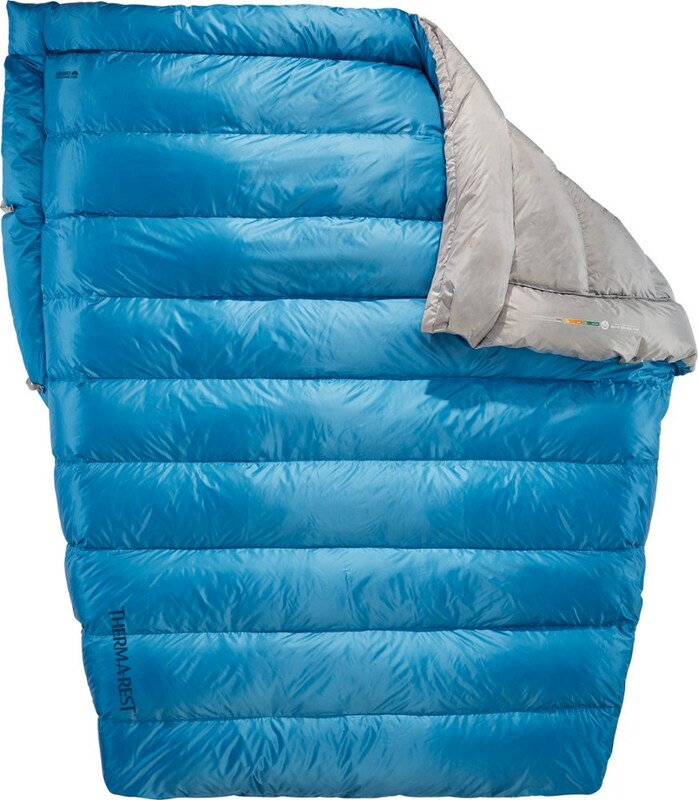 I believe this quilt with either my BaseCamp pad (sleeping on the ground) or my underquilt (in my hammock) will be fine for me at least down to 20 degrees. The quilt comes with a storage sack (that stores it uncompressed) and a stuff sack (not a compression sack) for packing. The stuff sack is big enough that I can shove my $20 Costco throw in the same bag. It packs down small and incredibly light (I should point out this is my first down bag). It is also plenty long and wide (I'm 6'2" and 280 lbs). The quilt also comes with the adhesive tabs that you can use to attach them to a pad. I have not used those yet. Thanks for the helpful review of your quilt, Alan. 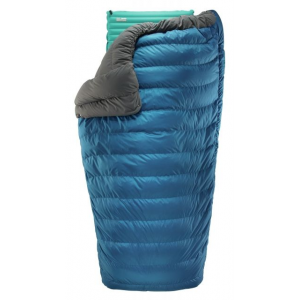 I'm curious, what are you using for your underquilt? I bought a two-pack of "Double Black Diamond Packable Down Throws" from Costco for $40 (online) and sewed them together, folding the outside edges over to make a path for the shock cords. I have a Supershelter for my Hennessey that I used with that system. Thanks for the info, Alan. It sounds like you got a good deal with the throws you sewed together. 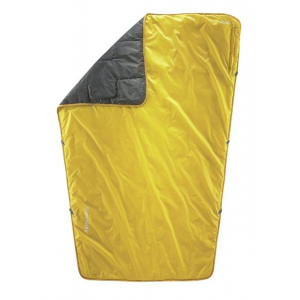 The Therm-a-Rest Vela 35F/2C Quilt is not available from the stores we monitor. It was last seen April 8, 2019	at CampSaver.com.